Critical Section - Good Morning, Kansas City! You know what happens when you had a long emotional day, but then you have to fly to Kansas City to give a presentation the next day? And you get in late and are tired beyond tired but you can't sleep, and so you watch a movie (the King's Speech - most excellent)? 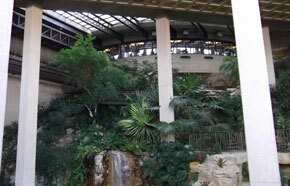 And you toss and turn and get up after two hours of "sleep" to go work out, and find some kind of weird tropical atrium right outside the workout room, but you have a great workout anyway? Want to know what happens? Paul Ryan for President. Maybe. "If we choose to have a federal government that tries to solve every problem, then as long as society keeps growing more complex, government must keep on growing right along with it. The rule of law by the people must be reduced and the arbitrary discretion of experts expanded..." Indeed. The longer I live, the less I look to the government to solve any of our problems. The electronic Rolls Royce, it's amazing. 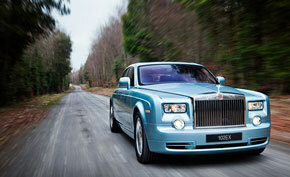 "The first electric Rolls-Royce is big. It is smooth. It is mind-bogglingly luxurious. And the torque just keeps coming. It has the largest battery ever installed in a passenger car, a 71-kilowatt-hour monster that would power your iPhone until Armageddon." Yes. Mian Muhammad Mansha, Pakistan's richest man, speaks... and what he says makes a lot of sense. I'll say it again; the best hope for countries like Pakistan is their own leaders, not help from the U.S.
SpaceX promises biggest rocket since Saturn V. "SpaceX is poised to take a giant leap with the biggest rocket since the Saturn V carried men to the moon, and it could blast off by early 2013. 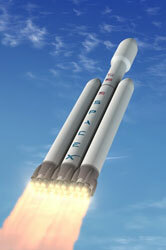 Elon Musk’s private space startup announced Tuesday that the 22-story Falcon Heavy will carry more than 117,000 pounds into low Earth orbit, giving it twice the lift capability of the space shuttle or the Delta IV heavy rocket built by Boeing–Lockheed Martin." Yes. 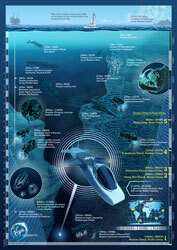 Richard Branson launches Virgin Oceanic: deep-sea exploring submarines. "Today, Sir Richard Branson, American sailor, pilot and explorer Chris Welsh, and submarine designer Graham Hawkes launched Virgin Oceanic, a project to explore 'the last frontiers of our own Blue Planet: the very bottom of our seas.'" Yes. Loving this: The next Napster? 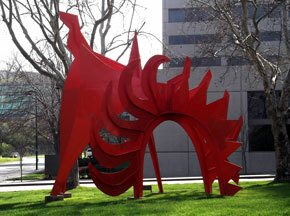 Copyright questions as 3D printing comes of age. Ah yes, what happens when atoms can be encoded as bits? It means physical objects become information, and as we all know information wants to be free, or at least easy. When do you suppose we'll be able to buy [the instructions to print] a chair on iTunes? The new LinkedIn platform: the professional web. Facebook -like features for LinkedIn, including the ability to "Recommend" items online and sign-on via LinkedIn's authentication system. This could be important. I started to add a LinkedIn "Recommend" button to my blog, but then I realized 'hey this is my personal blog'. But perhaps I will do so on The Daily Scan? How do you say Giraffe in Chinese? 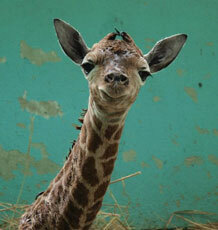 ZooBorn of the week: a [Chinese] baby giraffe. Onward: I am giving a talk about Digital Pathology for Patient Care in an hour. Wish me luck. And have a great weekend!